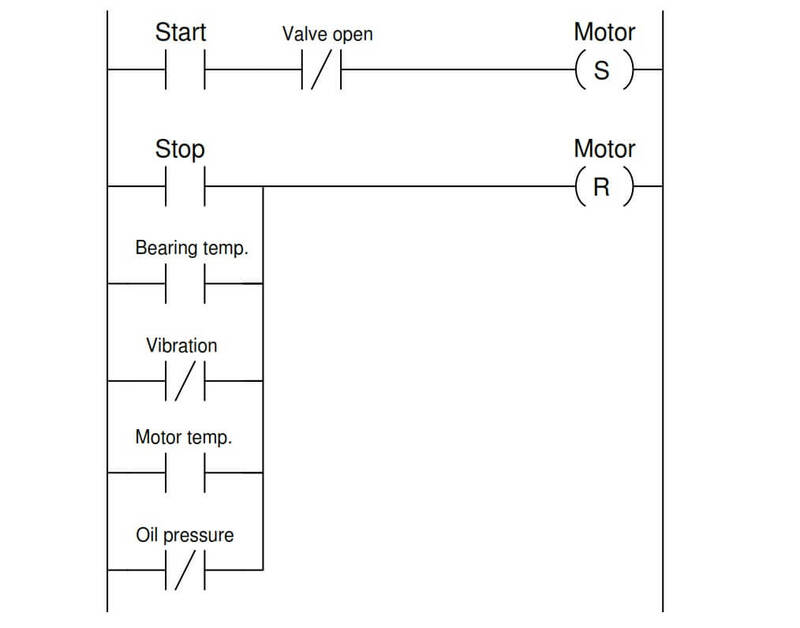 The following PLC program was written to control the operation of a large electric motor-driven pump. Throttling valve open limit = NO or NC? High bearing temperature = NO or NC? Low oil pressure = NO or NC? Since the motor is controlled by retentive coil instructions (“Set” and “Reset”), we know all the permissive contacts on the Reset rung must be uncolored in order for the motor to run. The normally closed “Valve open” instruction must be colored in order to allow the Start input to latch the Set coil and start the motor. Once we know this, we may determining the necessary “normal” statuses of all permissive switches in order to make their corresponding PLC program contact instructions colored. This means the limit switch must be in the open condition when the valve mechanism moves into the switch’s sensing range (in the fully-open position), and close when the valve mechanism moves away from the switch. A limit switch that is closed with nothing near it is a normally-closed (NC) limit switch. The PLC contact instruction for this permissive is normally-closed, which means that PLC input must be energized with electricity in order to maintain that contact instruction in an uncolored state. This means the low oil pressure switch must be in the closed condition while everything is running as it should (i.e. adequate oil pressure), and open if oil pressure becomes too low. The PLC contact instruction for this permissive is normally-open, which means that PLC input must be de-energized in order to maintain that contact instruction in an uncolored state. This means the high bearing temperature switch must be in the open condition while everything is running as it should (i.e. low bearing temperature), and close if temperature becomes excessive. 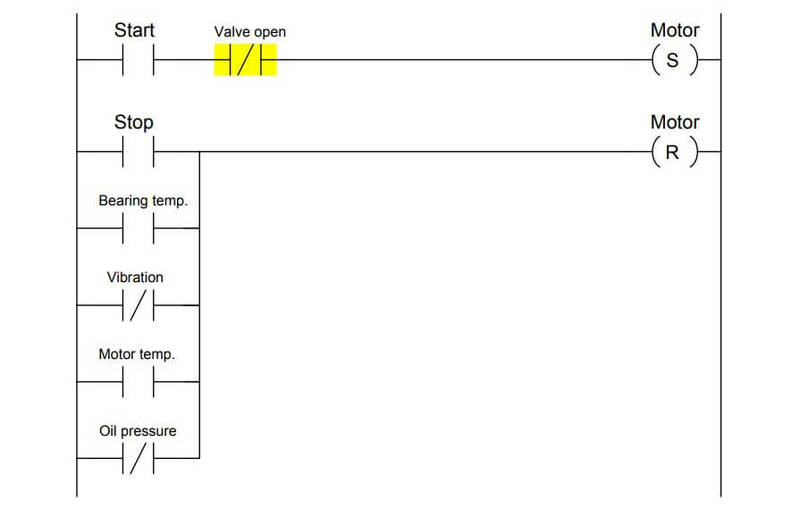 A temperature switch that is open when temperature is below the trip threshold is a normally-open (NO) temperature switch. Sir, is there any website through which I can understand instrumentation in Hindi ? If website is exit then please reply me.